This is not a flashy restaurant and it doesn’t pretend to be. 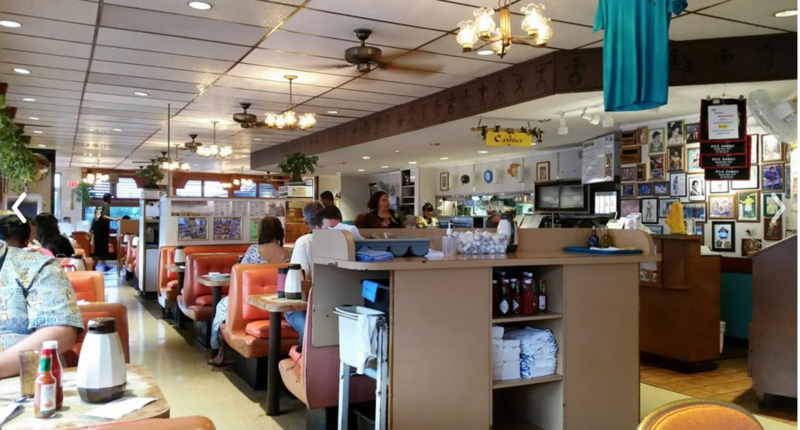 It is a classic diner. The laminate counters are worn from a decade of use. The food is great and the menu has everything. I love to eat local food with locals. This is why I recommend this restaurant. It is almost a destination in itself. It is also a great place for a Moco Loco. This is a classic local dish of comfort food. 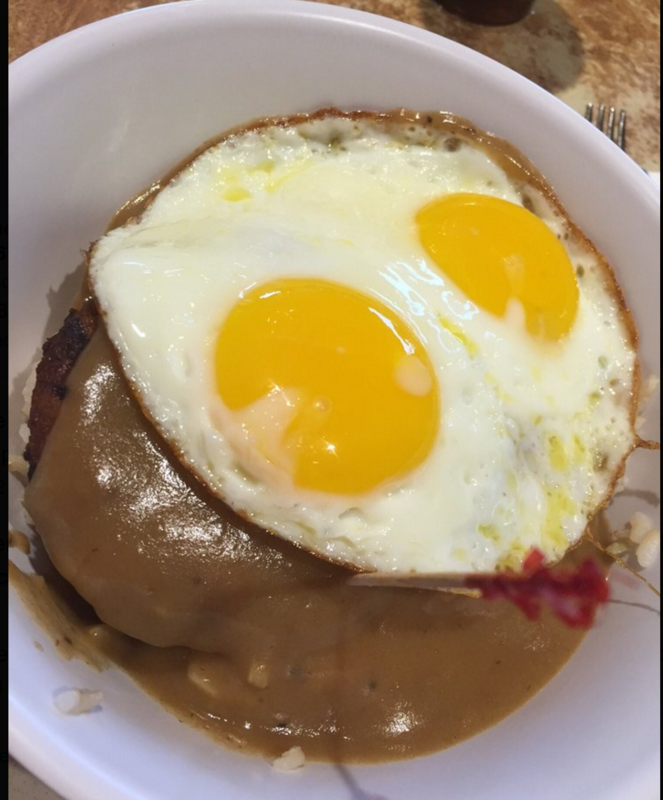 Rice, hamburger patty, gravy and eggs. 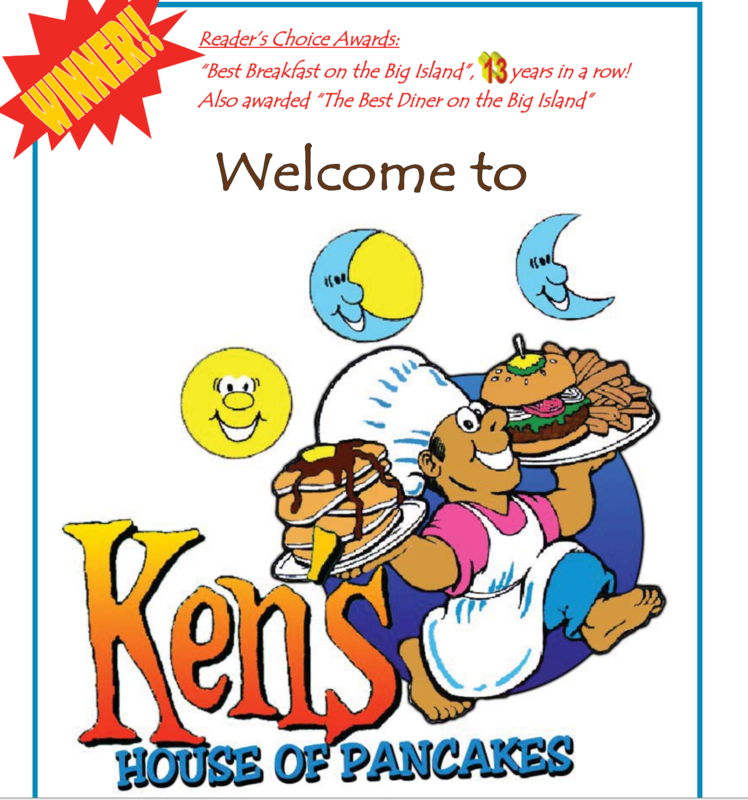 Of course Ken’s House of Pancakes has Pancakes, if you want to keep it cheap and simple. They also serve lunch and dinner. In fact, they have dinner specials each night. There is rarely a long line and the restaurant is open 24 hours a day. The location couldn’t be easier to find. 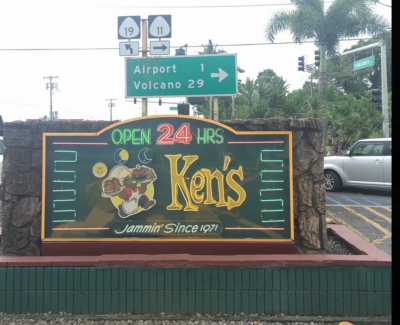 It is right on the corner of Highway and Kamehameha Ave. From Hilo Airport you simply go down to the bay. Kamehameha is the main street that runs across the bay.